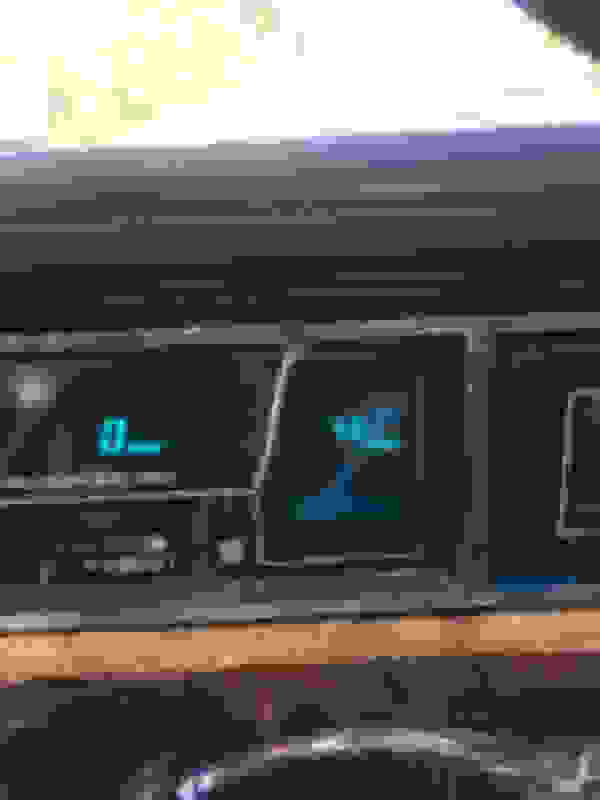 I have a nice clean white 85 Caliente rust free, one owner, gas V8, astroroof, Bose, voice information, claret leather, and electronic instrument cluster. Amongst many other comfort and convenience features and accessories. This damn dashboard is almost flawless. Some of the cleanest and thoroughly intact plastichrome, a supple crack free dashpad, a nice clean leather steering wheel, and the digital dash is acting intermittent. The fuel level potion of the cluster goes thru it's initial motions then blacks out. Interestingly enough when the cluster blacks out completely the "TURN LIGHTS ON" lamp illuminates outside of the cluster assembly entirely. I've googled this several times all I get are proud owner and salesman photography. I've inquired several repair places even companies that advertise older models. Been turned away every time. 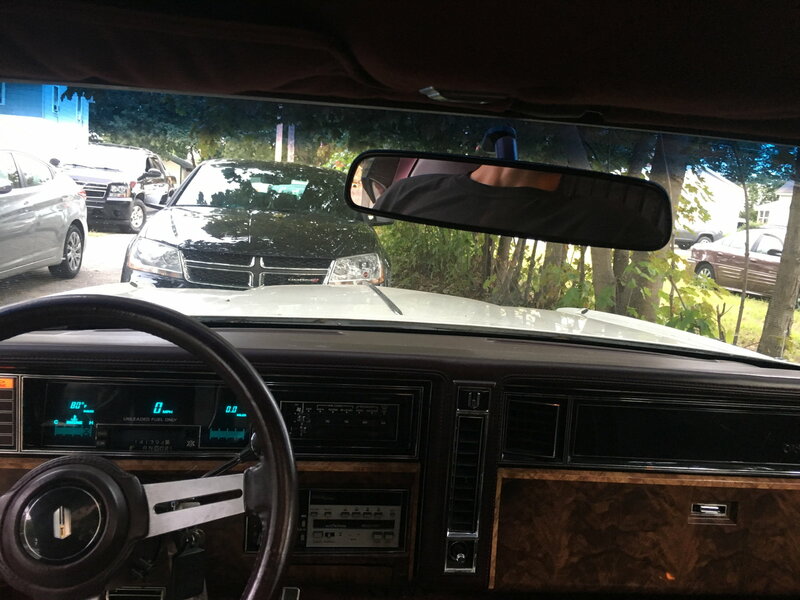 An older friend who was owner operator of a licensed GM repair facility for 35 years and owned an 85 toronado brand new said GM had a extremely high core charge exchange program which they would waive for hand to hand exchanges in person, very early into the life of these clusters. But nobody services them or offers parts for pre 86 toronado electronic clusters online or on eBay. Coincidentally I see no mention of 80?81-85 Cadillac Eldorado/Seville digital, or 80-85 Riviera digital online either. Are these all painfully archaic super analog digital clusters? Or have all the old GM electronics electricians retired? The 1st gen Buick-Olds non Cadillac faceplate/buttons Bose Radio doesn't always want to play ball either. It tends to behave if it's not powered off completely. That's available rebuilt for 400$. The contact information has been hard documented for future. I don't see anything there except a fancy faceplate and an usual volume control shaft that eliminates front rear fade. I am not willing to take that leap until its last gun fires. The cluster is priority. This shows the fuel gauges full time behavior. The cluster normally functions and displays speed accurately from my perception but the fuel gage never works just puts on its start up show and goes back to bed. Yes, they are archaic and no one services them. There is no demand anymore. Most of the parts are purpose-designed for that application so you can't just get components from Digi-Key. Frankly, few people collect these cars, so there is no market for parts or service. Good used will be your only option, I suspect. You could try your local ham radio club.They always have someone looking for a new electronics project. If the fuel gauge does it's show on start up ... odds are it's something fixable. The display itself isn't dead. A call can't hurt. Have you tried a local speedometer repair facility? Maybe they are few and far between. Our dealership has a local shop that we deal with. I looked up your cluster part number and ran it through Instrument Sales and Service, our GM repair facility. It came back invalid and said to call for assistance. I don't know if this is something they would repair or not. Last edited by Oldsfan; September 15th, 2017 at 09:04 AM. Have you tried a local speedometer repair facility? Maybe there are few and far between. Our dealership has a local shop that we deal with. I looked up your cluster part number and ran it through Instrument Sales and Service, our GM repair facility. It came back invalid and said to call for assistance. I don't know if this is something they would repair or not. Thank you for doing that sir. I am aware most initial part numbers on this car have long since been superseded probably two or three times, as I believe in 85 this car was still employing many 7 digit gm part numbers. I do not know the current/last gm number for this cluster assembly but it would be interesting to know. If there is something you can do further please let me know I can provide any information you need. Money isn't necesarily an object with this speedometer endeavor as to me it's a big part of the "package" this car is riding on. And as far as the cluster being not totally dead as the other individual typed, I completely absolutely believe that to be true. I bet it's some little resistor pellet or a ballast gets hot or something breaking a circuit. I just like I said have run out of 2017 "in the box" ideas and direction. The catalog part number for your cluster, with option U52 digital cluster, is 25079216. GM part history shows it discontinued 04/1993. See how far you can get with them and report back. Last edited by Oldsfan; September 15th, 2017 at 09:15 AM.
. I just like I said have run out of 2017 "in the box" ideas and direction. That's why I suggested the Hams. They're very familiar with a huge span of tech, from tubes to microchips. And if they can't locally ... for certain they share the air with others who can. I will contact the repair center suggested tomorrow. I got back an email from a polite gentleman who told me many internal service parts are discontinued for the first generation of gm clusters. He said he has heard of my position before in many early 80s GM he said it was usually Early 80s Riviera and Regal that have the problem. He said he apologizes as I'm first customer he's refused in quite some time. If that's the case imagine a 10,000$ High end grand national with a dead digital cluster. Whoopie! i don't know where to find ham radio guys around here Maine is kind of under a rock in some ways. I've been looking online. I don't have access to CB my last CB radio was almost 10 years ago and it was for work related purposes only. A lot of jabber jaw'rin' on CB around here. The problem with digital dashes is that GM's engineering in that era was still figuring out how to make these things live in all environments and fix any problems encountered. The moisture and corrosion associated with a car gets inside these boards and eventually makes them fail (I'm not sure if they conformal coated these boards when new or not). A coworker of mine collects Buick Reattas and they have the same type of digital dashes with all sorts of electrical problems over the years. The only solution has been for him and his son to take the dash electronics apart, find the bad components, and re-solder new ones and new traces in the case where the circuit board has gone bad. You thought wrong, call up Model Electronics in Ramsey NJ, they still service these dashboards, I should know this, I work in the Instruments and Displays department, we have all the parts necessary to refurbish them all day long and Delphi still makes the parts. Customer repairs using cost $50-$150 depending on how bad it is. And it’s nothing serious, just a whole lot of cold solder joints on the power supply on the main board, that or a bad connection to the display, it’s really quite a simple fix, or would be if all the connections that you need to get to weren’t covered in wax. I have the exact problem described at the beginning of the thread. The Turn Headlights On light comes on and then then the dash resets going through a full startup cycle. Can you provide complete contact information for Modern Electronics? I haven't been on here for MANY months and was doing a totally unrelated search, but found this positing. Since I am into 94-96 9C1 (Cop Car) Caprice and have had clusters fixed, I felt I had to post something. Hope this works for you. I also have an 85 Caliente that I still use in daily driver service to this day! I suspect that the original poster has 2 problems. My Caliente also had the intermittent dash problem in which the dash would blackout. The "Turn Lights On" light would flash a few times and then the dash would come back to life. Sometimes it would go days without acting up, then it would cut out 5 times in as many minutes. I ended up finding a good used cluster from a 1985 Caliente in a local junk yard. I bought the cluster totally on faith, as I didn't have access to the key and the battery had already been removed from the car. Thankfully the junk yard cluster worked flawlessly. The procedure for removing the cluster isn't too difficult and is detailed down to the size of the respective bolts in chassis service manual. By following the procedure in the manual, I was able swap the cluster out in about a half hour. Per the manual, I also swapped out the odometer from my older cluster to keep the mileage accruate (241,000 and counting!) If you don't have the manual, let me know, and I will post a picture of the relevant page. I suspect that the intermittent cluster issue is the result of bad capacitors and/or a failing transformer. While Caliente clusters are a rare item, capacitors and transformers are pretty common itmes. A friend of mine is an electronics expert and has offered to take a look at my old cluster> He previously fixed my voice alert module by replacing two capacitors and a transformer. After he diagnoses the cluster, I will let you know what he finds. The fuel gauge issue is likely a totally seperate issue from the intermitterent cluster problem. I get the same fuel gauge reading for the first few miles after I top off the tank. Thus, I believe that this reading is the result of too much resistantace in the fuel gauge circuit (such as an open circuit resulting from a bad sender or a wire on the power / ground side). The 84-85 Riveras and Regals with the digital dash will also give a fuel gauge error code for the first few miles when the tank is topped off. Check the ETM for the wiring codes and run the sender power lead to ground, your fuel gauge should read empty. If it does, your sender or sender to ground connection is bad...if it does not read empty, the fault is either in the wire from the cluster to the sender or the cluser itself. I would put money on a faulty sender, espicially if the car sat with old gas for any length of time. When I was previously looking for a repair of my cluster, I had been referred to a company called Specmo Enterprises in Warren Michigan (248)307-2570. It is my understanding that they were (and perhaps still are) a GM approved instrument cluster service vendor. When I talked to the representative on the phone they sounded knoweldgeable and were willing to look at the Caliente cluster. If you have not already done so, I would highly recommend that any Caliente owner pick up the Chassis Service Manual and the Electronic Troubleshooting Manual. Both have been a wonderful resource in diagnosising and repairing my Caliente. The same goes for anyone who owns a similar 80's car with a lot of electronics and wires. I found the books on EBay for less than $25 each with shipping. My advice would be to occasionally search junk yards online and find a spare cluster if possible. Even if you find a in-op cluster, it could serve as a repair candidate thus allowing you to continue driving with your intermittent cluster while having the donor cluster repaired. Where are you located? Back in the early '90s I worked for a GM warranty repair shop. The electronic dashes like yours and the CRT displays in the Cadillacs were always especially tough on the repair techs. The biggest problem with them was always the cold solder joints throughout the circuitry. Whenever those dash clusters came in for repair the techs always drew straws on who would have to repair them because it took so long to find the problem. They would spend such a great amount of time touching up all the solder connections that they would lose out on a lot of commissions for that day. If you are willing to put in the time and effort, you can take it apart and touch up as many solder connections as you can before you go cross-eyed and you will probably fix most, if not all, of the problems. There may still be a few components that need replacing but most problems with GM electronics seem to be caused by bad solder connections.YMMV! Problem continues - intermittent Caliente dash. I am located in northern Ontario Canada and junkyards are far and few between. When scrap prices were better it seems everything 10 years or older was sent to the crusher. I am on several "looking for parts lists" but no luck so far. It seems the Caliente was a rare car here and everywhere. If anyone in Oldsmobile land finds one while looking for other bits I would gladly purchase it and pay for shipping. I agree with the capacitor theory. After 35 years some types tend to dry out. I have had the dash apart several times mostly to remove and reinstall the radio and agree a manual is indispensable. I have the complete set. When I was in the electronics trade it was also the least fun job of resoldering, mostly because there was no diagnosing a problem and then the wonderful "ah ha" moment when you found the problem. Shotgunning all the joints sometimes under a magnifier was no fun but if it worked, it was a great feeling. If it didn't or if it made the problem worse you were teased about being a poor tech. As part if the troubleshooting I noticed that when I activated the "twilight sentinal" feature in the headlight switch that the problem was exacerbated. Although as you said it may just be one of those lengthy periods between the intermittent failures. The sensor itself is impossible to find but the switch itself still seems to be available, so as time permits I may change it out. Thank you for keeping this thread going with your feedback. Mine only has 60000 miles so it is encouraging to read about your car with 4 times the history. I have leads on TWO 1985 digital clusters! Since I already have two on my shelf (one alive and one in need of repairs) I am going to pass on these two. One is confirmed functional. The yard put a battery in the car, powered up the dash and sent me a pic. However, I don't know whether it has the cutting out issues that these are known to commonly have. The second available dash is at another yard. They weren't able to confirm whether it worked. They wanted $250 plus shipping...as-is. PM me if you want the contact info. Am I totally clueless as to the Value of things? Quick Reply: 1985 Toronado digital dash totally obsolete?